We love to cook at home and good cooking has been in the family for generations. 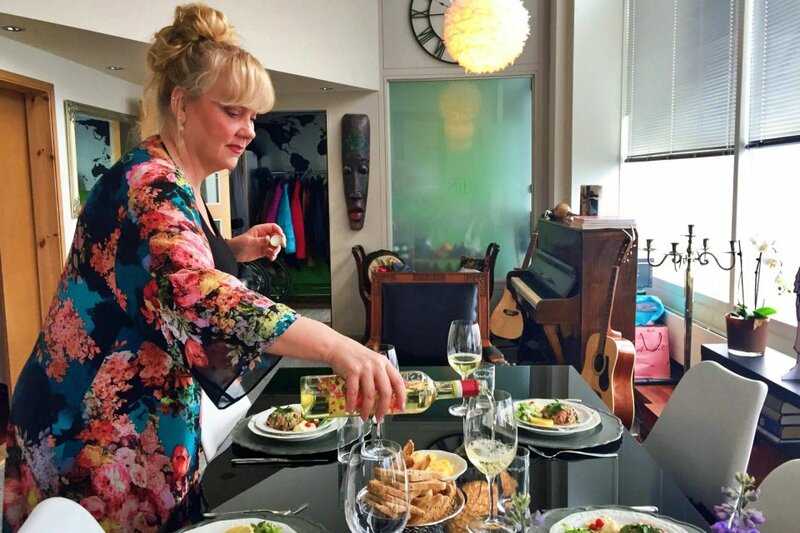 A home cooked meal, the food Icelanders eat at home, is completely different from what is found in local restaurants. At home, many meat dishes are slow cooked in the oven and are served simply with potatoes and fresh vegetables that are grown in greenhouses using geothermal energy. The greenhouses afford fresh produce year-round, even in the cold, dark winter. Your typical Icelandic meal might begin with a starter like a raw salmon salad and continue with a hearty main dish such as leg of lamb with roasted potatoes, seasonal vegetables from our greenhouse, and a fresh salad. For dessert, something sweet like berries with traditional Icelandic skyr (a local cultured dairy product like yogurt) or a seasonal fruit tart. The dishes we can cook at home could vary and therefore change according to seasonal availability. If there are particular dishes you are interested in trying, please include your request in the booking form. We are musicians who love to sing. I am learning opera and my partner sings with two choirs, so don't be surprised if we treat you to a song or two! We have a passion for travel, food, and music. 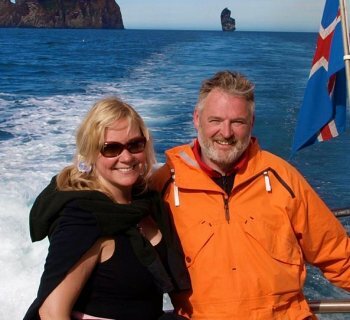 We love to share our knowledge about history, geology, culture and of course, the local food of Iceland! Book lunch or dinner with a cooking class. Eat what you cooked. Learn how to prepare 2-3 dishes that are easy to replicate at home. Our kitchen is large and open, and you’ll have the opportunity to try your hand at preparing foods like salmon salad, fresh greens, or dessert.